I’m naturally an optimist. Despite the seemingly downward spiral humanity seems to be in recently I like to think we’ll make it to another enlightened age, one of exploration and beyond the bounds of this planet. 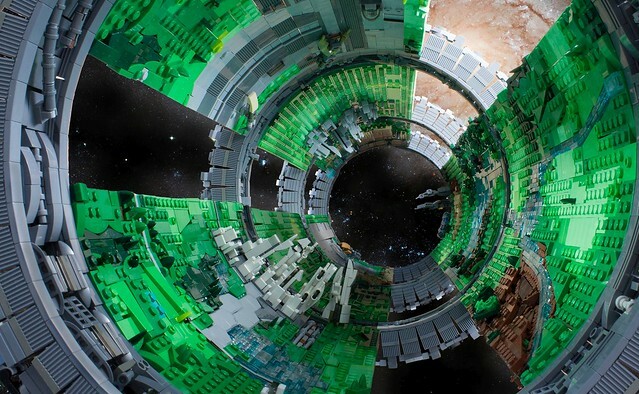 Something like the future envisioned by builder ranghaal with this excellent metropolis in space. Imagine day to day living in this cylinder in the stars, looking up to see more “ground” above you, it would be dazzling.